Robert E. Howard's vengeance-obsessed puritan begins his supernatural adventures in the haunted Black Forest of Germany in this adaptation of Howard's "The Castle of the Devil." When Solomon Kane stumbles upon the body of a boy hanged from a rickety gallows, he goes after the man responsible -- a baron feared by the peasants from miles around. Something far worse than the devilish baron or the terrible, intelligent wolf that prowls the woods lies hidden in the ruined monastery beneath the baron's castle, where a devil-worshiping priest died in chains centuries ago. * This team's debut Kane story is available for free at myspace.com/darkhorsepresents. 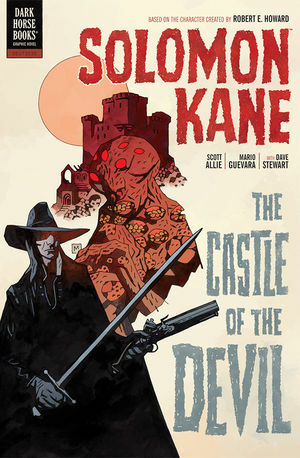 * Collects the Solomon Kane five-issue miniseries.